KUALA LUMPUR (Oct 20): Volkswagen Group Malaysia Sdn Bhd (VW Malaysia) admitted today it will not meet its target of doubling its sales this year due to the poor handling of customers’ grouses over technical issues affecting its vehicles. VW Malaysia managing director Armin Keller said loss in customer confidence has caused the company to scale back on its sales target for this year. 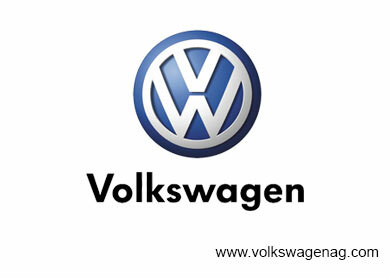 Last year, the firm sold 11,700 units of VW vehicles in Malaysia. “It is clear we will not be able to double our sales (from last year). But we expect to maintain our current market share,” he told reporters at a press conference. In mid-March, a group of 50 VW owners had staged a protest at VW Malaysia’s headquarters on the problems connected to the 7-speed direct shift gearbox (DSG) installed in their vehicles. They had also complained of long waiting periods for servicing as well as dealers voiding some vehicle warranties for slight overruns in service intervals. According to Keller, the DSG7 problem, due to the mechatronic aspects of the vehicles, “has been resolved”. He also said the oil used in the gear box of affected vehicles was synthetic oil, which did not suit the Malaysian climate and has since been changed to mineral oil. Keller admitted the company had made “some mistakes” when handling the customers’ complaints and apologised for the inconvenience caused. “In these times of growth, especially over the last month, we have made perhaps some mistakes in terms of communication in handling the customer in the appropriate way,” he said. “On the DSG issue, we have not been able to fulfil expectations of customers. We had some lack of parts available. We had not enough service capacity and we definitely did not communicate in the proper way and also with the customers. “It is a lot of inconvenience and we apologise for that,” he added.